A simple, beautiful jar. So versatile and a popular size for so many products - salsa, relish, jam, mayo, pickles, etc. 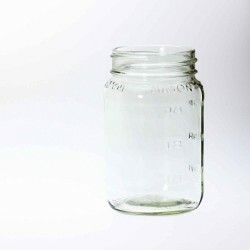 This 12 oz "Economy" Jar takes a regular mouth 70mm continuous thread lid. 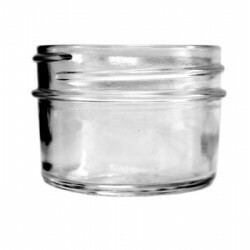 These jars can be used in hot fill or water bath/pressure canning with High Heat or two piece canning lids. 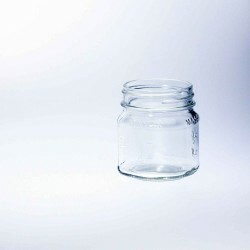 The simplicity, size and shape of this jar also make it a great choice for candles. 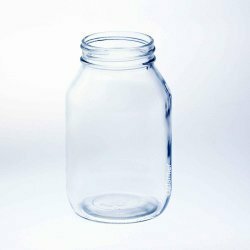 These mugs are used as moonshine glasses and as beer glasses in bars and restaurants all over the US..
A beautifully shaped quart jar which lends itself to a range of uses including, but certainly not li.. These jars are super versatile! 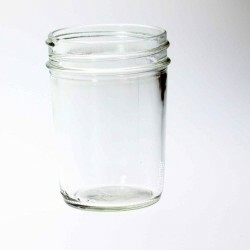 Use them for jam, jelly, barbecue sauces, pickled vegetables, candl..
An extra wide mouth half gallon jar: squatter and wider than the average jar of this capacity.Pe.. Easily identify your different fruit creation with the range of fruit jam lids: this one depicts ber..